Just take a glance at your own community. Mother Teresa once said, "It isn't necessary to move to Calcutta to do something significant." 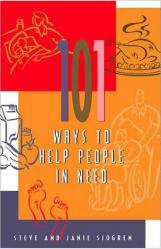 There are people in need all around you, if you only stop to look. Is there a single parent where you work? A disabled child in your neighborhood? Perhaps a family in your church who cannot afford medical insurance? These needs cry out to be met, and God's Word says that to meet them is "pure and faultless" religion. 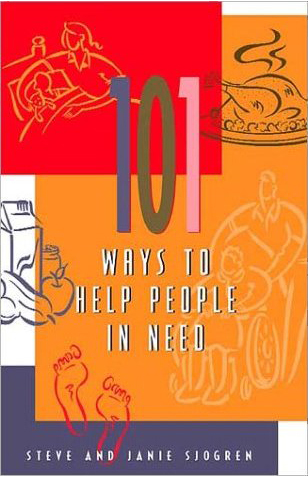 In 101 Ways to Help People in Need, Steve and Janie Sjogren present practical and creative ways for you and your church to reach out to people with physical, emotional, and relational needs—in your neighborhood, your community, your country, and your world.